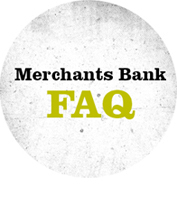 Below are the most frequently asked questions about Online Banking at Merchants Bank. If you have any questions, comments, or concerns, you can e-mail us at onlinebanking@merchantsbankal.com or call us at 256-734-8110. What are the software and browser requirements? How do I get a new Online Banking password? I use Quicken now, but I am very interested in Online Banking. What can I do? Online Banking product allows you to use a personal computer with an internet connection to perform your banking via the Internet, including checking balances, transferring money, paying bills and more. Online Banking is free when you use it to access account information, balance your register and conduct transactions, such as account transfers, etc. Optional online Bill Payer is also free and available for unlimited standard bill payments. For maximum security, always use the latest browser version. Beta versions of browsers and operating systems are not recommended or supported. Additionally, if a browser or operating system is no longer supported by the vendor, it is not supported. Merchants Bank of Alabama customers can Click on Enroll from our website and complete the information. You choose your sign-on information and password. You will be notified when your application has been approved. Non-Merchants Bank customers: Just visit one of our local offices to open your FREE checking account. A customer service representative will be glad to assist you in enrolling for Online Banking. For more information, please call us at 256-734-8110 or e-mail us at onlinebanking@merchantsbankal.com. 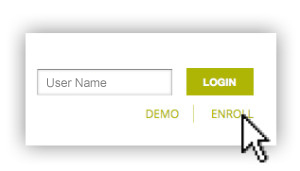 Enter your User Name and click the LOGIN button. 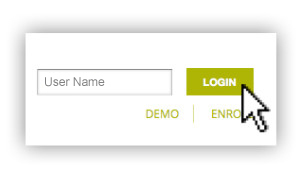 Then enter the password that you chose at the time you enrolled. You will be prompted to accept or decline the Online Banking Agreement. Send an e-mail to onlinebanking@merchantsbankal.com or call a Customer Service Representative at 256-734-8110 to have your current password reset. You can change your password by selecting Change Password under the Administration tab within Online Banking. We strongly recommend that you use passwords that are 6 to 8 characters long and preferably be composed of alpha numeric construction. While we don’t enforce password changes, we encourage that you change your password every 60 to 90 days. This will help to protect your account from unauthorized access. You can export select transaction information from Online Banking to your Quicken or QuickBooks program using the Quicken Import File (QIF) format.